Does Australia need company tax cuts? Business investment in Australia declined steadily for four years after peaking in 2013. In early 2016, the Turnbull government settled on a series of company tax cuts as their preferred policy to reinvigorate business investment and the economy. Our modelling shows that a cut to the company tax rate for large businesses will indeed lift foreign investment in Australia, driving an economic expansion and an increase in pre-tax wages, but there is more to the story. Like many policy changes, there are winners and losers. 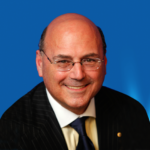 The give-and-take nature of the tax cut means that the “losers” from the tax cut will be Australian-owned businesses and the Australian government. We find that despite the expansion in GDP, the average income of the Australian population (a more suitable measure of the material welfare of the population) will fall. Do we need investment to maintain jobs and economic growth? More investment creates more buildings, equipment and intangible assets that enable workers to be more productive and, in theory, earn higher wages. If investment is weak for a prolonged period, job opportunities are reduced and wage growth will weaken. In a well-functioning economy, population growth and technological progress naturally attract investment. When investment only keeps pace with population or employment growth, wages stagnate. For wages to grow, investment needs to be above this level. This happens when there is technological progress, generating the higher returns which attract the level of investment needed. Australian investment depends largely on foreign finance, so world economic conditions, including rates of corporate tax in other countries, also play a role. In reality the link between investment and wages is not always clear cut. If unemployment or underemployment is high, investment may lead to growth in jobs without wage growth. Businesses might also make profits in excess of a “normal” rate of return. These profits exist when new businesses struggle to break into a market dominated by a few large players, and can be an impediment to wage growth. Even if you do accept that higher investment does lead to higher wages, giving tax cuts to companies to stimulate investment is not justified on this basis. If company taxes are cut there will be significant costs to government revenue that amount to a “windfall gain” to the (mostly foreign-owned) investments that have already been made on the basis of the 30% tax rate. On balance, the positive impact on growth and wages is not enough to justify the loss of this revenue. 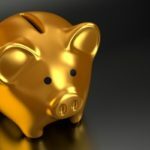 Is there a problem with business investment in Australia? Business investment is now showing signs of picking up. 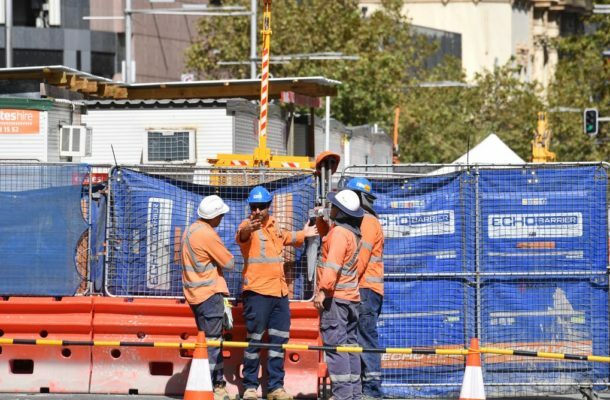 In a speech late last year, Reserve Bank deputy governor Guy Debelle saw “signs of life” in investment growth, particularly in the services sector and in infrastructure projects completed by the private sector on behalf of the public sector. A Grattan Institute report identifies four very good reasons for the four-year decline. These include a return to “normal” investment following the mining boom and an overall decline in the amount of money needed to create capital goods in most industries. The report also points to an ongoing shift towards households spending more on services such as retail, cafes, and professional services and slow economic growth overall. Viewed in this light, there are plausible and benign reasons underlying the decline in investment. These suggest that it is not a large enough problem to justify “repair” in the form of a costly tax cut. Certainly business investment has weakened over the last five years, and along with this we have seen weak wage growth. It would be foolhardy to argue against the need for more business investment. Jobs and growth underpinned by a healthy level of investment are essential aspects of a modern society. But cutting the company tax rate is not the way to go. It may deliver more business investment and economic activity, but by forgoing taxation revenue from existing investment, it comes at a cost to the average income of the Australian people. To reap the benefits of strong business investment without a costly tax giveaway, Australia must continue to play to its strengths. Reducing the government revenue base through a cut to company tax will undermine the sort of stable, prosperous society that underpins the world-class environment that we strive to offer all investors. 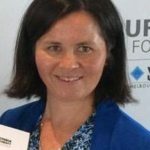 Dr Janine Dixon is a Senior Research Fellow at the Centre of Policy Studies at Victoria University. Janine’s interests include the theory and practical application of large scale dynamic computable general equilibrium models.